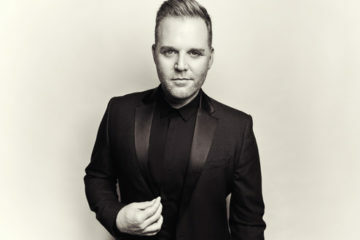 BadChristian Music (Emery) Seeking "Good Songs From Bad People"
Matthew West is a well-known name in the Christian Music Industry who is known for his catchy, yet inspirational tunes. He is not just a singer, but also a very talented songwriter and many know him as the guy who sings people’s stories. In 2010 Matthew released The Story Of Your Life, an album written entirely from people’s stories he’d asked them to send in to him. He would simply pick his favorites and write songs out of them for the album. Fast-forward 5 years, and 2 albums later, and he still follows that same format and his latest project, Live Forever is no exception. The title track “Live Forever” gets the album off to a very fun, inspirational start. The song talks about how we need to make the most of our lives, and live our lives as if we know that what comes next is something great. The song really asks the question “Is there more to life?” “Is it true that nothing lasts, or is there a way to outlive my life?” This song really inspires listeners to make the most out of their lives, and live it for God. “The List” and “Grace Wins” both creatively tackle the idea of God’s grace and love. The songs talk about how there is nothing we can do to earn God’s grace, and it’s a gift to us. Grace overcomes everything, and no matter what we’ve done, Grace wins every time. We may feel worthless, and that our mistakes are too big for grace, but God loves us so much that His Grace erases all our sins. “World Changers” is an upbeat song that inspires listeners to go out and change the world. “This is to all the world changers, keep walking on, don’t you ever lose that fire in your soul.” This song really celebrates those who are serving God overseas, and locally. While celebrating those already changing the world, it also inspires many others to start changing the world however they can! “Tryin’” is an upbeat, fun song talking about how we are all unique creations made to be different. The song talks about how we need to stop trying to be like everybody else; we need to stop trying to change how we are, so that we look more like other people. The song celebrates that God made us unique, and perfect in His image. “Mended” is a beautiful ballad talking about our redemption in Christ, and how often we see ourselves as broken, messed up people, but to God we are perfect redeemed children. “Anything Is Possible” is a very inspirational, unique song. The song starts with Matthew reading part of a letter he received from a woman who had a baby in prison. The song talks about her redemption, and changing her life around. Matthew puts it into words and really shows how anything is possible; the proof is in this woman’s story! The song is very upbeat, and really inspires listeners with the fun sounds that anything really is possible! “Born For This” talks about our mission as Christians. We were put on this earth for a reason, and we all have a purpose. We are here to share God’s love with everyone. “Oh, Me Of Little Faith” celebrates the fact that despite our lack of faith at times, God still loves us. The song is a cry out to God to give us faith. We all have times where we face a lack of faith. In our minds the struggles are too big, they hurt too deep, and it’s all too much to have faith. This is a great song for those times. “Heaven Is The Hope” celebrates Heaven, and how wonderful it will be once we get there after this life. “Heaven is the hope that we hold on to, heaven is the promise for me and for you, that all we really are is passing through, to something better.” These lyrics remind us that earth is not our permanent home, it gets so much better than this, and Heaven is waiting for us. The deluxe edition of Live Forever includes 3 incredible tracks. An acoustic version of “Day One,” “Untold,” and “Homecoming” which are all inspirational tracks based on people’s stories. The songs will really resonate with listeners, as the stories are so relatable. Overall Live forever is an incredible album which will be heard by many, and it won’t take long for listeners to fall in love with every track, and share the songs with others. Many will appreciate how relatable, honest, and vulnerable the songs are, and, for those and many other reasons, Live Forever should be considered a must-buy album, and it can be pre-ordered on iTunes now (link below). Pre-order Live Forever on iTunes here.